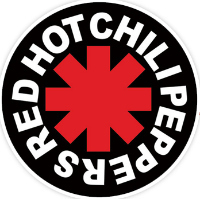 In the minds of many, the Red Hot Chili Peppers is the greatest rock band in the world today. 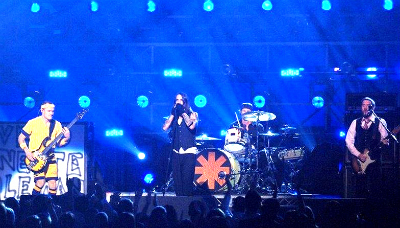 The Californian rockers' live shows are legendary, with Kiedis, Flea, Smith and Kinghoffer more-often-than-not exuding more energy than the National Grid. The great news is that the band is celebrating the forthcoming release of its latest album, I'm With You, with a free show in London. The show takes place on Friday 2nd September at the fantastic KOKO nightclub (formerly known as Camden Palace). It'll be an intimate affair, with the venue holding just under 1,500 people. To have a chance of bagging a pair of tickets, you need to visit this BBC webpage and then click on the apply now link at the bottom of the page. Most important of all, be sure to get your name in the hat before 21st August. Take a moment to look through the terms and conditions on the website to make sure you qualify for the draw. Applicants have to be UK residents and must be over 14-years-old (anyone aged between 14 and 16 who wins a pair of tickets must be accompanied by an adult on the night). One pair of tickets is available per person. Don't forget folks, get your name in the draw before Sunday 21st August at 7pm. You've got to be in it to win it. Why? It'll be the best free event you go to all year.